Celebrate love with a special night at The Cassidy bar + kitchen. 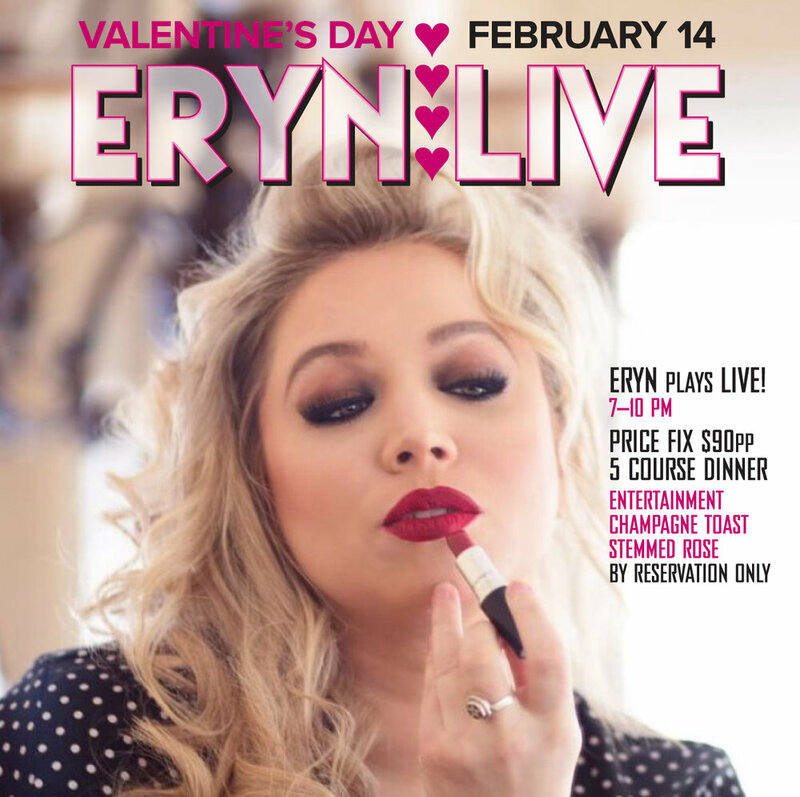 Indulge in our 5-course prix fixe dinner menu on February 14, 2019 while listening to recording artist Eryn — a mix of Jazz, Blues and Country fused with pop. The special evening is $90 per person. A la carte service will resume the following day.